So without more delay, let’s begin with the All She Needs Fab Bag unboxing! 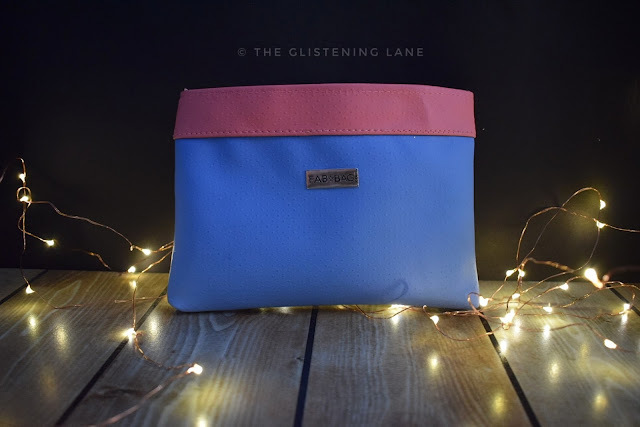 All She Needs - Pastel Bag for this Month! Since this is a women’s subscription bag, the theme of the month revolves around the necessary products that a woman will need. The idea here is to include makeup and skincare which is imminently required by one and all. The price for one month subscription is stated above but in case you want a long term subscription plan then the price would be comparatively less. When I unboxed the June Fab Bag 2018, I couldn’t curtail my excitement. Everything that I received was enough to pump up my enthusiasm. This is why; I tried all the products the very next morning itself. It was more like getting ready using fab bag products. Let’s see what I felt about each of the products. I can’t clearly distinguish what led to what but this question will remain a mystery - Did I become a makeup hoarding person after I started blogging or was it my fascination for hoarding that turned me a blogger? 😅 Whatever it is but I feel that certain things are inherited for sure. Sometimes I feel my father would have been a blogger, had internet scribbling picked hype during his days. Anyways, let me just keep aside these deviations and focus on the product. 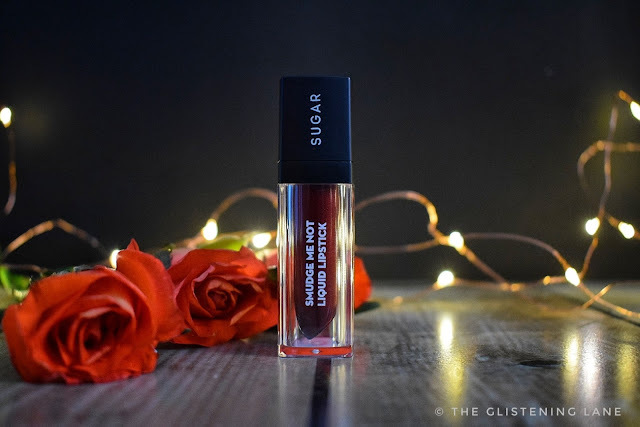 Makeup Product - Smudge Me Not Liquid Lipstick in "Merlot Glow"
Sugar Smudge Me Not liquid lipstick was one of the products which was enough to keep me hooked on getting the June Fab Bag as soon as possible. 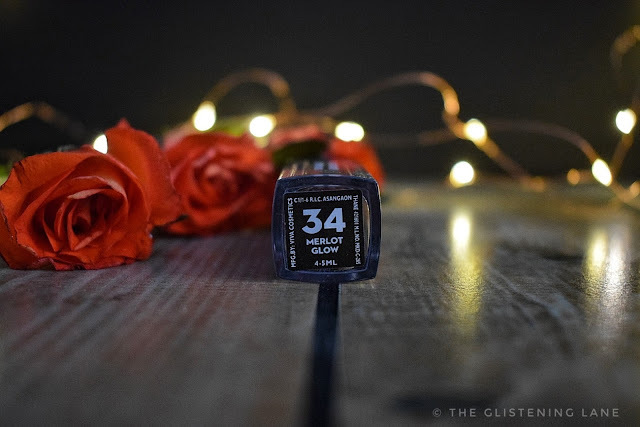 I have a long term subscription owing to which I was given a selection for picking the shade and lipstick that I want. There were options from two ranges of the Sugar lipsticks. One of them was the recently launched crème lipsticks while the other range incorporated metallic lipsticks. I already had Sugar’s Brown Crown Liquid lipstick which I got in my March 2018 Fab Bag and I’ve been loving its longevity as well as formulation. 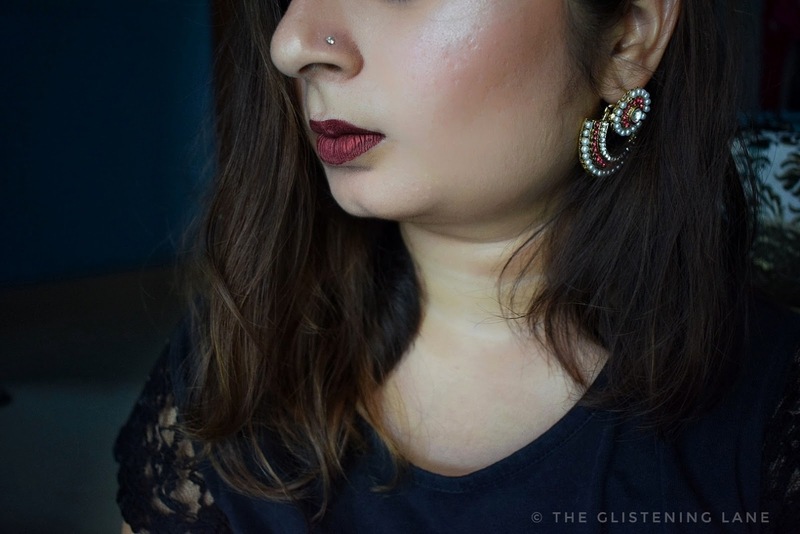 Plus, crème lipsticks are preferred by me only in winters. So I picked up the shade Merlot Glow which is brownish maroon shade with an amazing metallic sheen. I must mention this that the metallic liquid lipsticks of Sugar Cosmetics are bomb! They have a very soft and easy to glide texture which glides so smoothly onto your lips. Unlike other Smudge Me Not lipsticks, the metallic lipsticks stay onto your lips even after a meal. The best way I feel for applying these lipsticks is to prep your lips with a layer of lip balm and apply one coat of the lipstick. Before the lipstick dried up, you can bloat the excess onto a cotton pad. Otherwise, just let the lipstick do its magic. 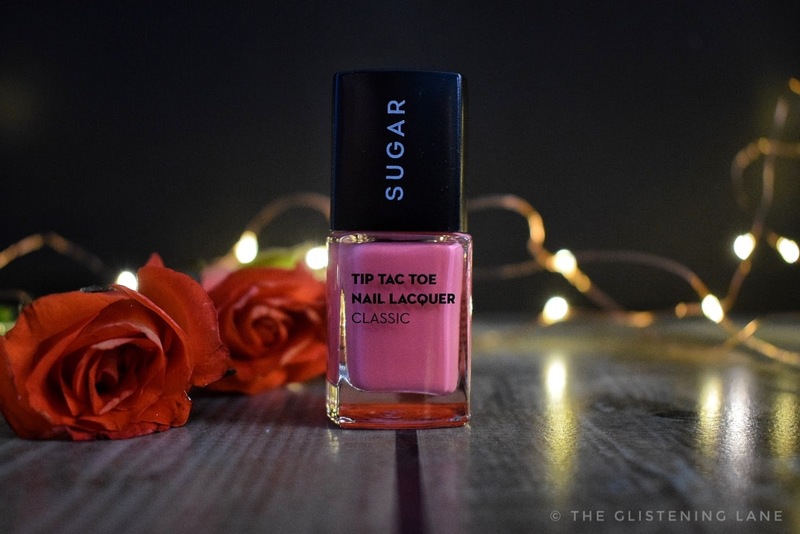 On My Lips (#LOTD) - Smudge Me Not in "Merlot Glow"
Makeup Product - Sugar Tic Tac Tie Nail Paint from the collection "Candy Land"
Do I mind another Sugar Cosmetic’s product? Nope, not at all. Till date, I wasn’t really a fan of incorporating sample body wash, shampoo or conditioner. Probably, I did not encounter one of those samples yet that'd compel me to go ahead and purchase a full sized packaging. Fortunately, this is what actually happened! I was already intrigued by the packaging which had an art depicting forests; that's why it had a bird and some wilderness. 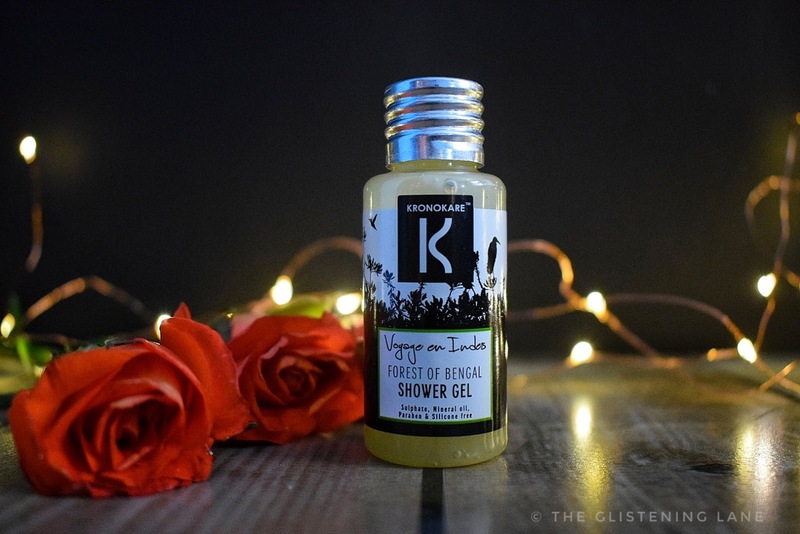 Post applying the soft formulation of the Kornokare Forest of Bengal shower gel, I realised that as a blogger it is a part of my observation to sniff the product as well. This was exactly when the aroma uplifted my morning mood. I sometimes feel I’m not a morning person but then I’m neither a night person. Probably going office everyday is what ruins my mornings and products like these are definitely useful for people like me. I’m so keen to pick a full sized bottle of this shower gel. It has a beautiful fragrance which is hard to describe but all I can state is the fact that there’s no overpowering sweet fruit fragrance which I genuinely don’t like. The aroma of this shower gel is somewhat subtle yet very different. This is apparently a luxury product since it’s quite expensive. The packaging is very simple and elegant at the same time. This is the first time I’ve heard about the name of this brand. Since its summer time, I keep a lot of my skincare products in refrigerator as it helps in calming any kind of inflammation or irritation on the facial skin. 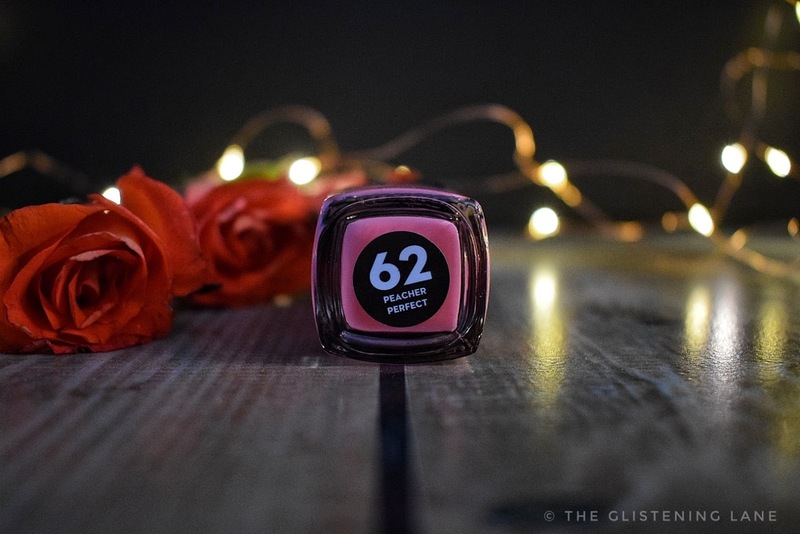 It's a clear gel which is perfect for combination to oily skin type as it seeps into the skin very easily and there’s no greasiness left behind. I’ve used it once and probably after some more trials I’ll be able to comment more on this product. Till now, I pretty much like it but it is just the first impression. Blossom Kochhar products definitely need no introduction and what’s better than a turmeric cleanser for summers when the face turns into an oil-mine plus all the bacteria decide to enjoy and breed acne! This is a sample product and it is meant exclusively for the combination skin. 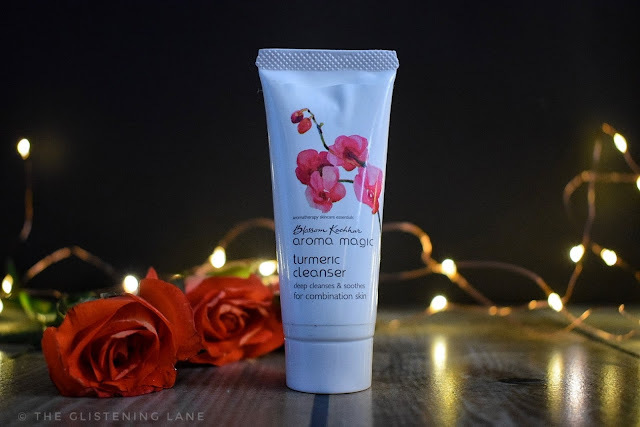 The product claims to deep clean and soothe the skin which it actually does owing to its slightly hydrating/creamy base. It does not leave the skin squeaky clean with slight dryness. If you have an oily skin, then you might not like it. APS is comparatively a new brand but if I’m not wrong I did checkout their Instagram and they have some amazing products in their catalogue. Fun fact about this product – the products from the brand APS have real food essence in them and they are completely organic in nature. 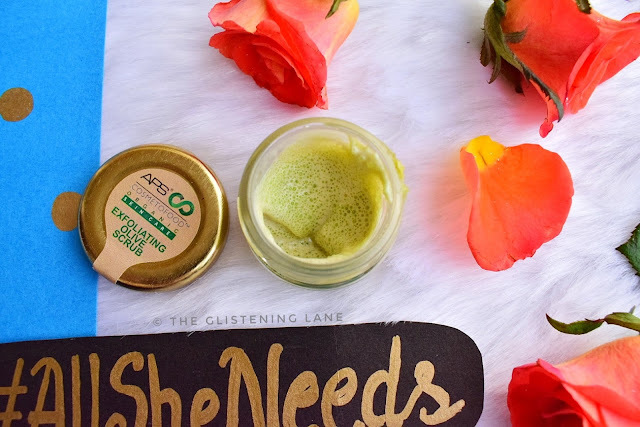 When I tried this scrub, I was dreading an oily base since the product name specifies olive. 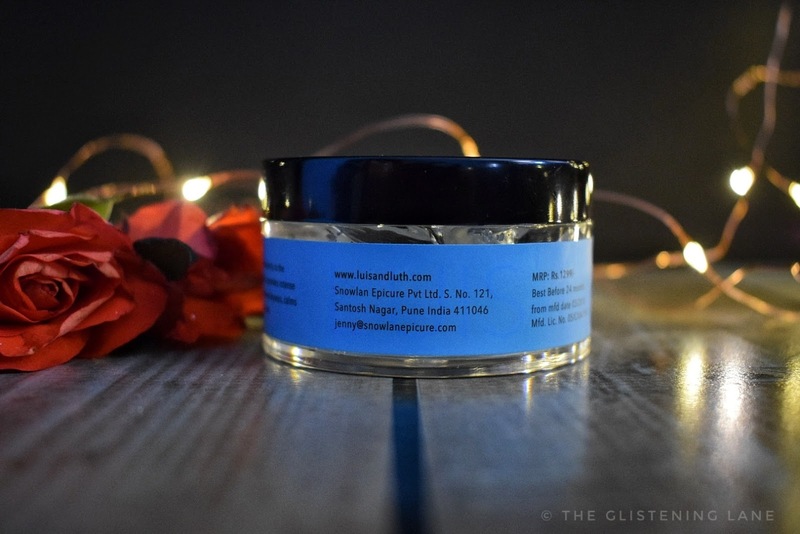 Fortunately, this scrub has such an amazing texture and formulation that being an oily skinned person; you’d want to invest into a full sized product. 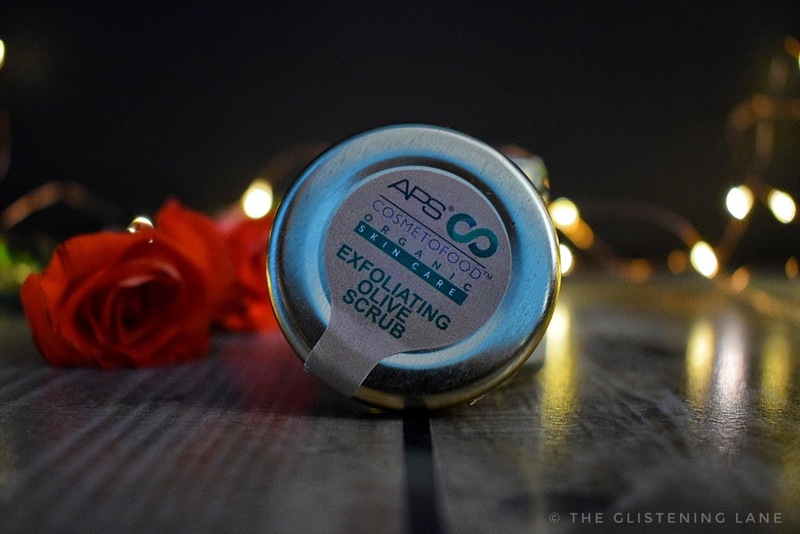 Unlike granular scrubs, this scrub has micro beads for exfoliation which does not aggravate any skin irritation or acne. It is quite gentle onto the skin and leaves the skin healthy without the traces of greasiness. A flaw that I came across was its lid, which does not properly close back. Although when it reached me, the packaging was closed perfectly and nothing spilled out. But post usage, I’m not able to close it and the lid comes out quite easily. Overall, I’m quite impressed with almost every product that has been added into the bag this month. 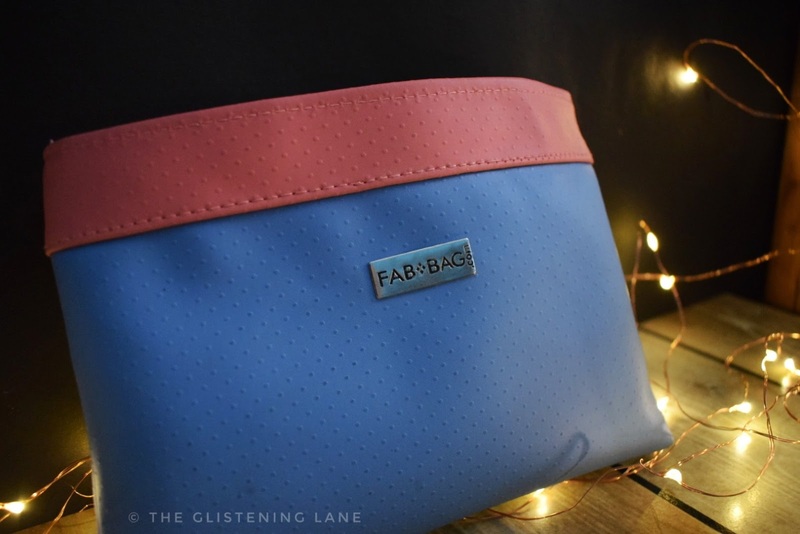 In fact, the bag itself is quite sturdy and available in pastel shades. Moreover, even the samples incorporated were quite fascinating. Also, what more can you ask for when you’re getting two makeup products each month. 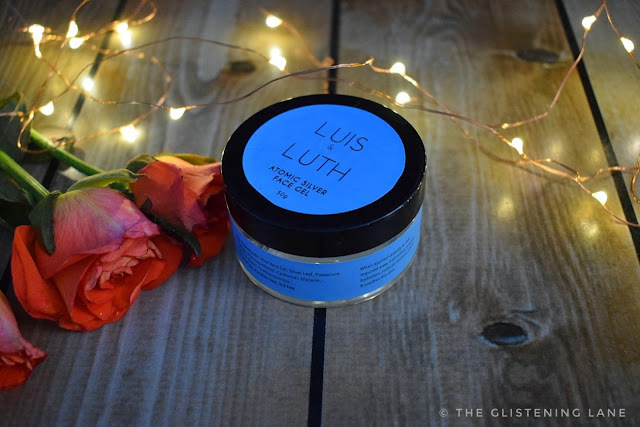 My personal expectation from a subscription box is - To receive products, even if it’s in a sample size format but those samples should be in a way such that they seem worth the money spent each month! 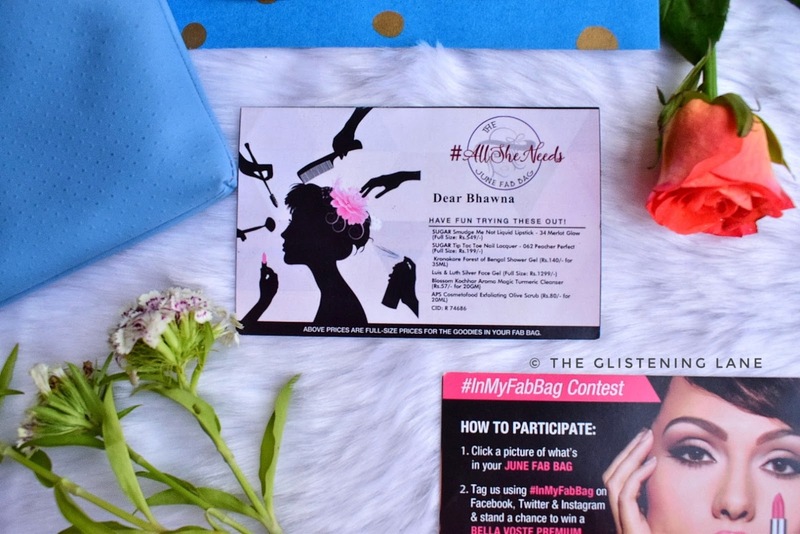 This is truly what the team of Fab Bag managed to conquer with the curation of June 2018 Fab Bag. Fab Bag - #TheAllSheNeeds is a great hit in my opinion!